Only professional historians will know why the Nassau Stakes, one of the seven fillies & mares races in the QIPCO British Champions Series, is so called (you’ll need to go back to 1840 to find out – and being Dutch may help). Horseracing aficionados, however, will be well aware of the Group 1 race’s more recent history. The key elements? A chestnut mare called Midday, a jockey called Tom Queally and a trainer called Sir Henry Cecil. That combination won in 2009, then returned for an action replay in 2010 and completed the hat-trick in 2011 – the first time a mare has triumphed in the race on three occasions. Two other horses – Roussalka in 1975-6 and Ruby Tiger in 1991-2 – have recorded Nassau Stakes doubles. 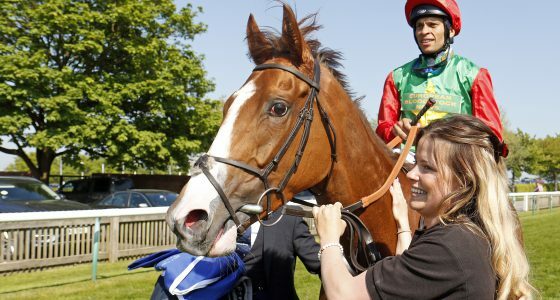 Meanwhile owner Prince Khalid Abdulla has won the race four times in the last five years following Winsili’s victory in 2013 while John Gosden has now won it three times in a row. The Nassau Stakes, open to fillies and mares aged three years or older, is the feature race on the final day of the Glorious Goodwood meeting. 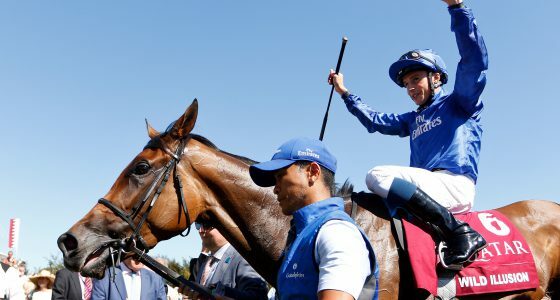 A stellar season for Charlie Appleby and William Buick continued as Wild Illusion made all in the £600,000 Qatar Nassau Stakes at Goodwood. The three-year-old daughter of Dubawi was not winning out of turn, having finished fourth in the QIPCO, runner-up in the Investec Oaks and also second in the Ribblesdale Stakes at Royal Ascot. Buick kept things simple in the – gradually winding up the tempo from the front and dragging his five rivals out of their comfort zones. The 4-1 chance beating Urban Fox (3/1) by two lengths, with Veracious a short-head further back in third. “Wild Illusion has been rock solid all season. She was coming into the race as well as I have seen her all season, and I felt that dropping back in trip was going to be her forte,” Appleby said: .”Full credit to all the team at home, and to Michel [Rakotoarisoa] who rides her every day at home and looks after her. “Dropping back in trip I felt was going to help and tactically we couldn’t see where the pace was going to come from, so I asked William to go out there and do what he is good at. The Derby-winning trainer added: “I am very fortunate to be in this position. His Highness Sheikh Mohammed and the royal family have supported me very well and have been very kind to me. It is only my job to try and put these winners on the board at this level. 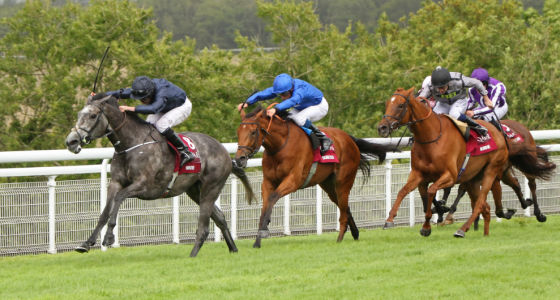 Wild Illusion’s future entries include the Darley Yorkshire Oaks, which is another Champions Series race. “We’ll let the dust settle, and while she’s had a busy campaign she looks like she’s thriving – when fillies tell you that you map out a plan to suit,” Appleby said. A delighted Buick, winning the event for the third time (Winsili 2013 and Sultanina 2014), was ecstatic. “Wild Illusion got into a nice rhythm in front and pricked her ears,” he said. “I was always comfortable where I was and she really saw it out well to the line – she is a very tough. No other filly in training deserves it more than Wild illusion. “This has been a defining year for all of us in Godolphin. We are guided by Sheikh Mohammed who of course sets very high goals and standards, and we try our best to fulfil them.